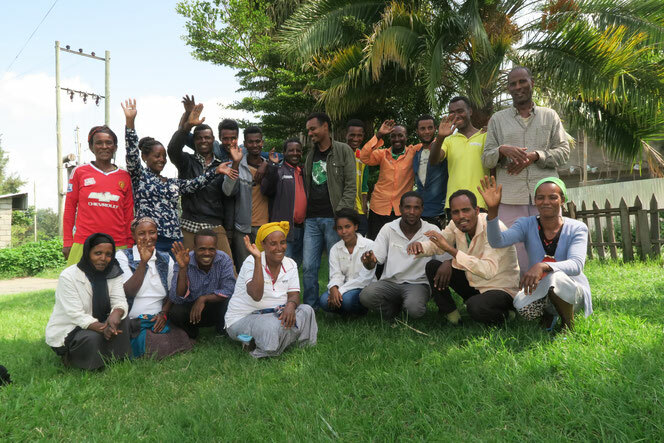 From 29th of May until 2nd of June 2017 ARBONETH held a participatory training workshop for the two project paraecologists as well as for 19 horticulturists from the Wondo Genet College and from the neighbouring village. 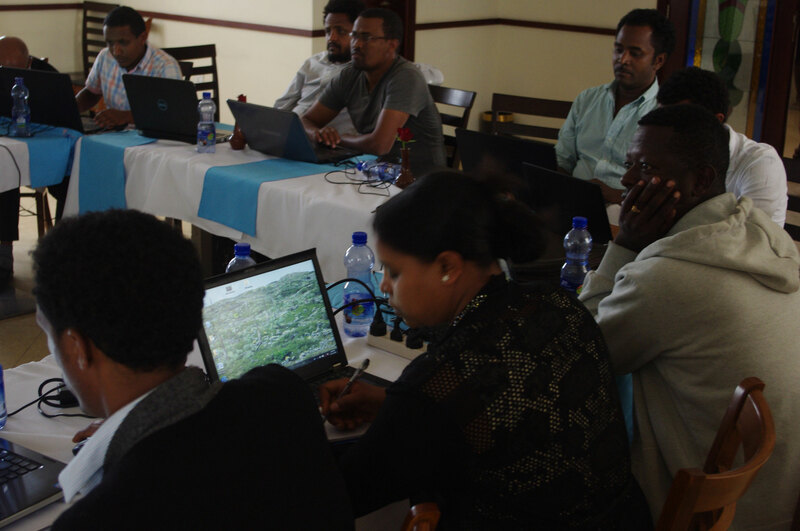 The workshop aimed to broaden the understanding of ecological processes that are relevant for plant propagation and cultivation. 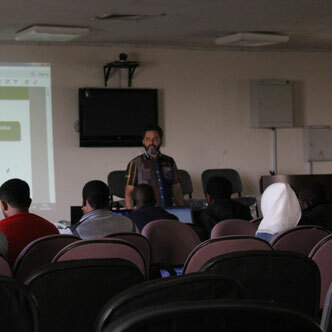 Other aims of the project were to deepen the understanding of horticultural techniques and reflect on challenges of giving and receiving instructions and of working in teams. 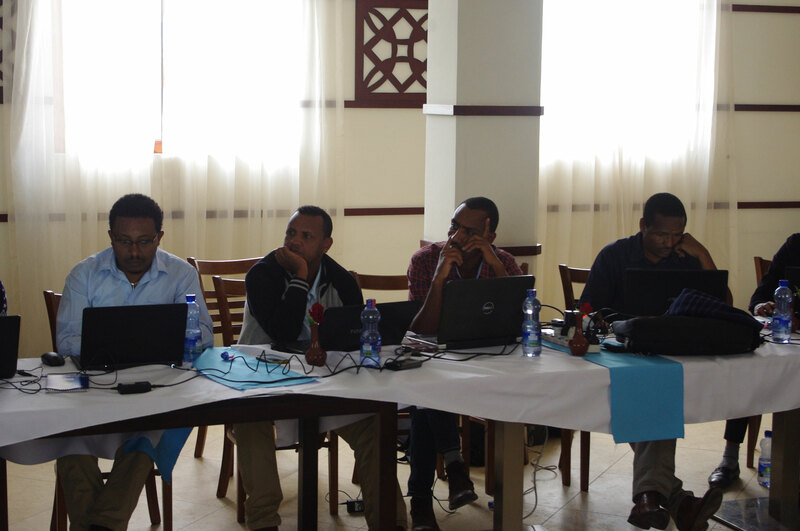 The workshop was jointly facilitated by Ms. Seble Metefaria, Wondo Genet College, and Dr. Ute Schmiedel, Hamburg University, and supported by Mr. Sintayehu Tamene, Wondo Genet College. 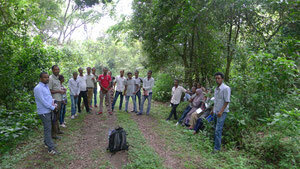 ARBONETH employs two paraecologists (paraecologist.org) in Wondo Genet for the entire running period of the project (form 2015 to 2018). 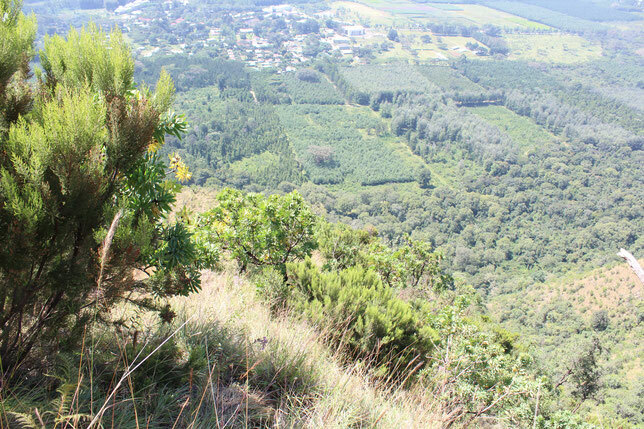 The paraecologists are members of local communities, who support the work around the Wondo Genet tree nursery and arboretum with their local knowledge. 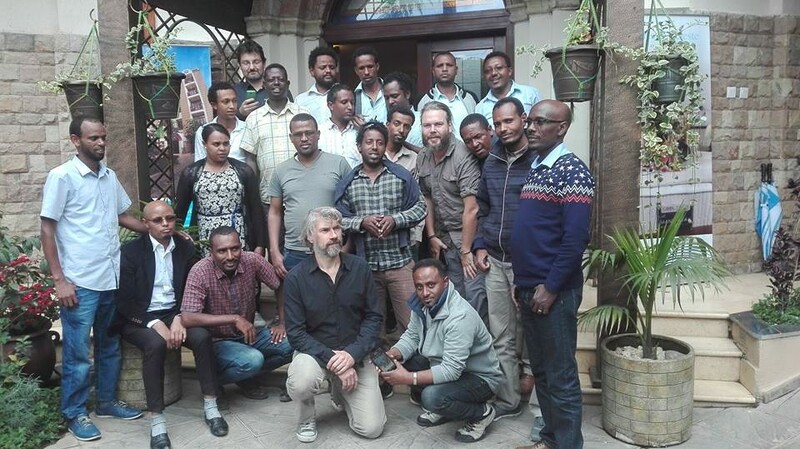 Two trainers and supervisors of the paraecologists, Ms. Seble Metafaria and Mr. Sintayehu Tamene from Wondo Genet are trained and supported Dr. Ute Schmiedel from Hamburg University. 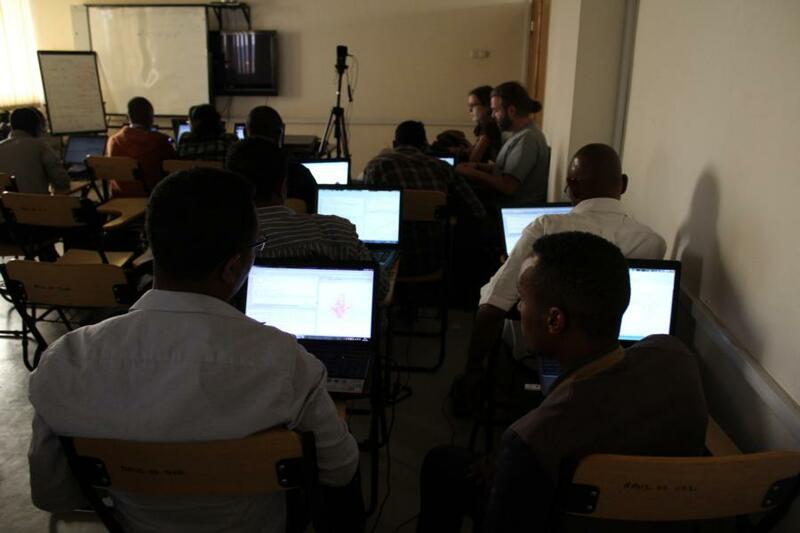 The training workshops comprise theoretical and practical training sessions. 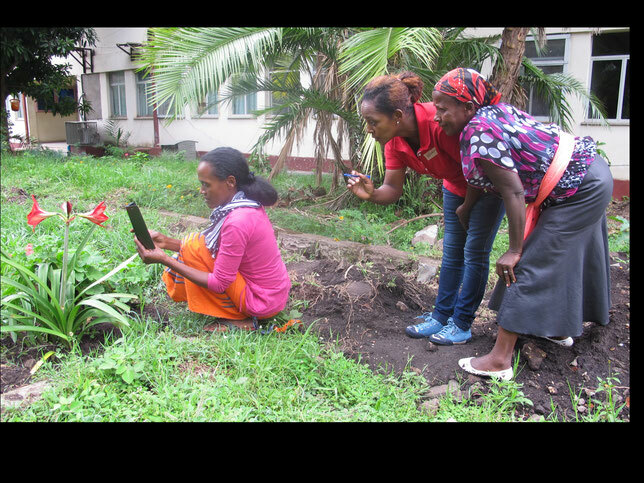 During the training workshop in 2015, for instance, the participants exercised to take pictures of a plant for documentation and identification purposes. 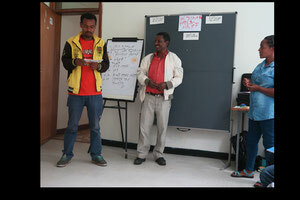 The two AROBNETH paraecologists Serawit Tassew (left) and Sintayehu Tufa (right) with Ms. Seble Metaferia (paraecologist trainer) during the training workshop in Wondo Genet in 2017. 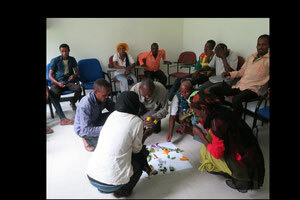 Workshop participants at work during the training workshop held in Wondo Genet in 2017 where paraecologists, nursery workers and college gardeners participated. 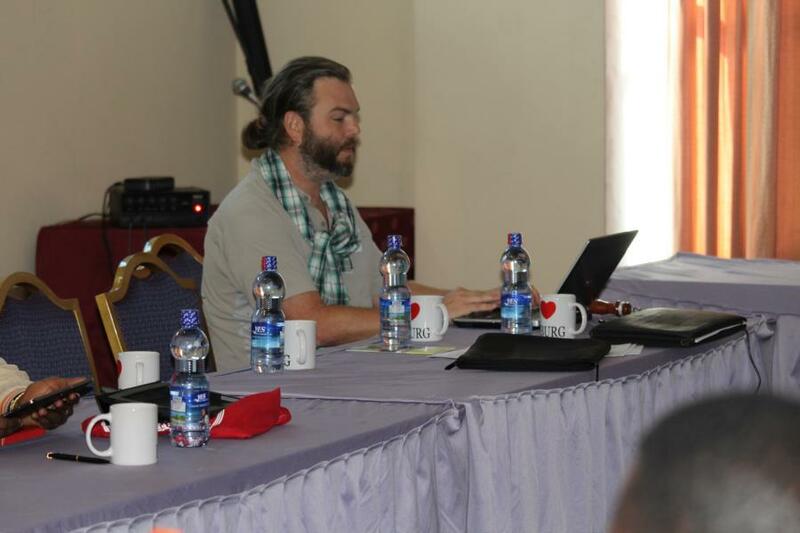 Dr. Miguel Alvarez: Vegetation ecologist at the Department of Plant Nutrition, University of Bonn, Germany. 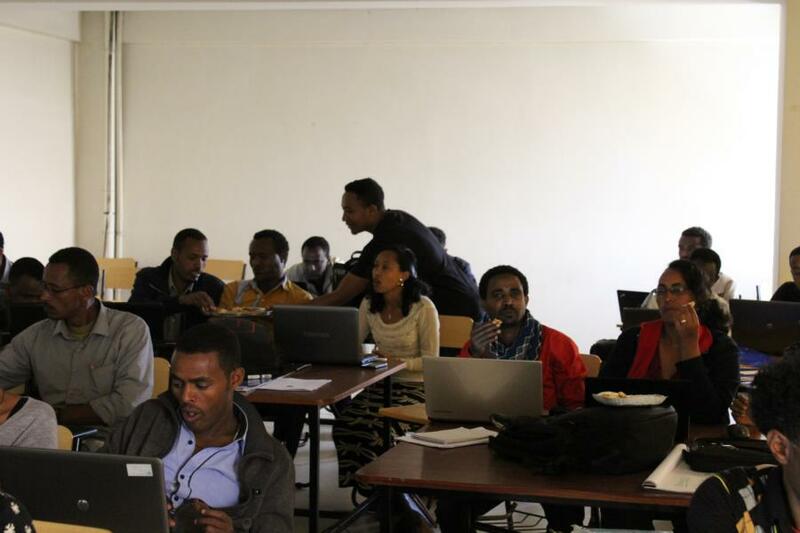 He has being organizing workshops about the use of relational databases for handling bio-diversity data and applications of the R programming language in statistical analysis of spatial and non-spatial information. 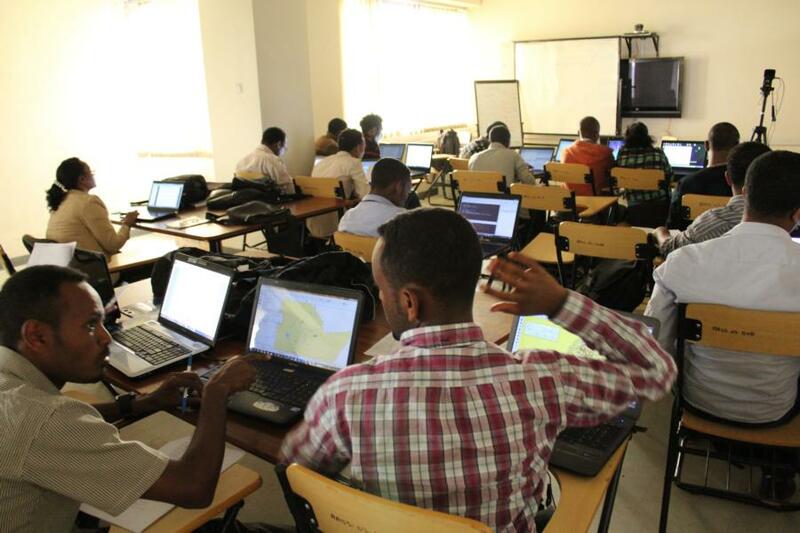 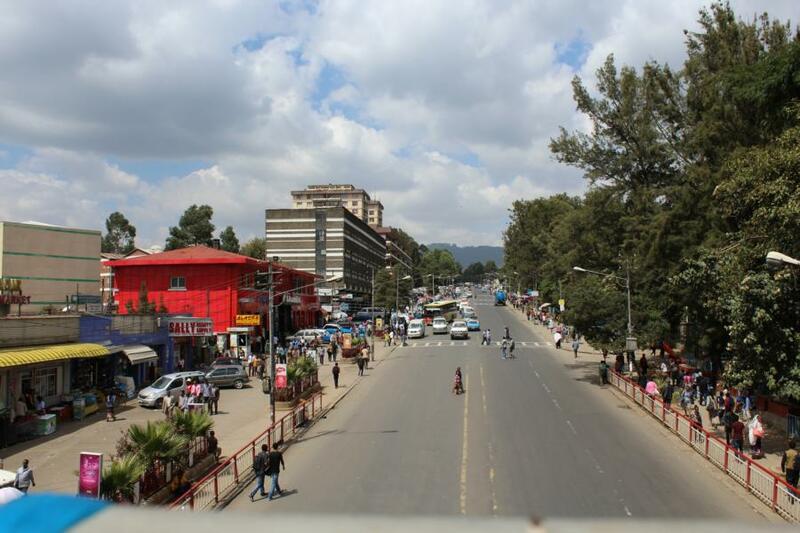 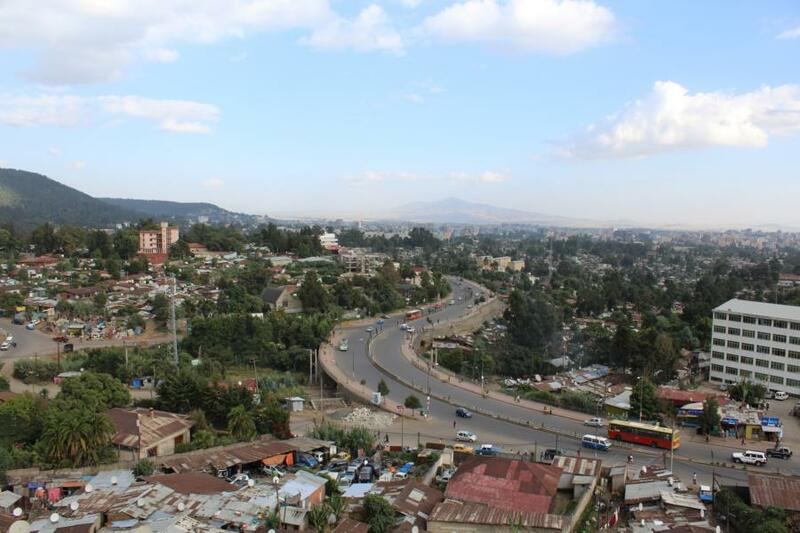 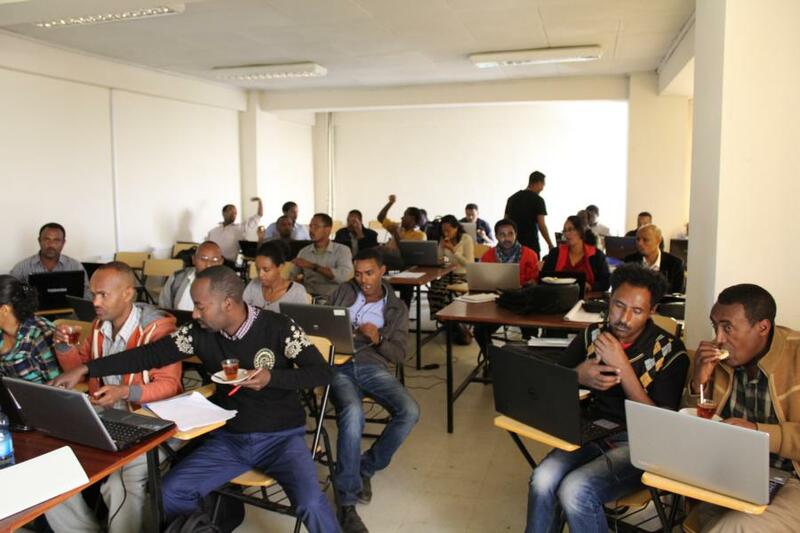 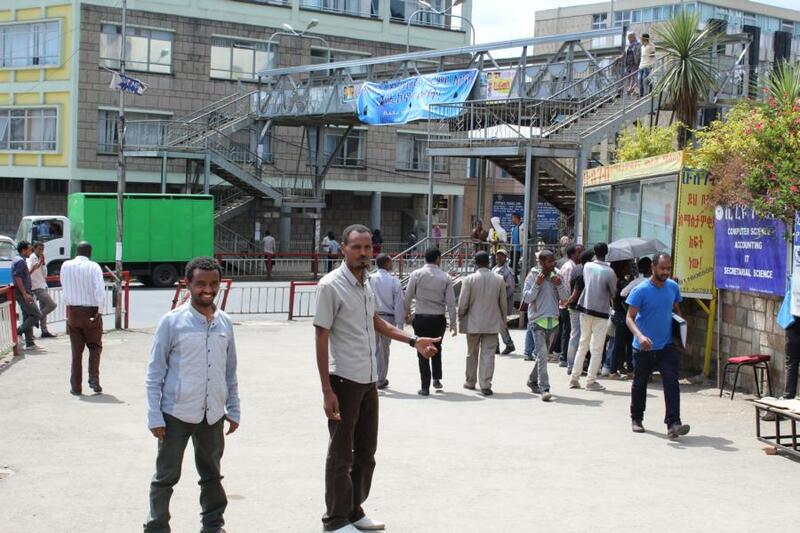 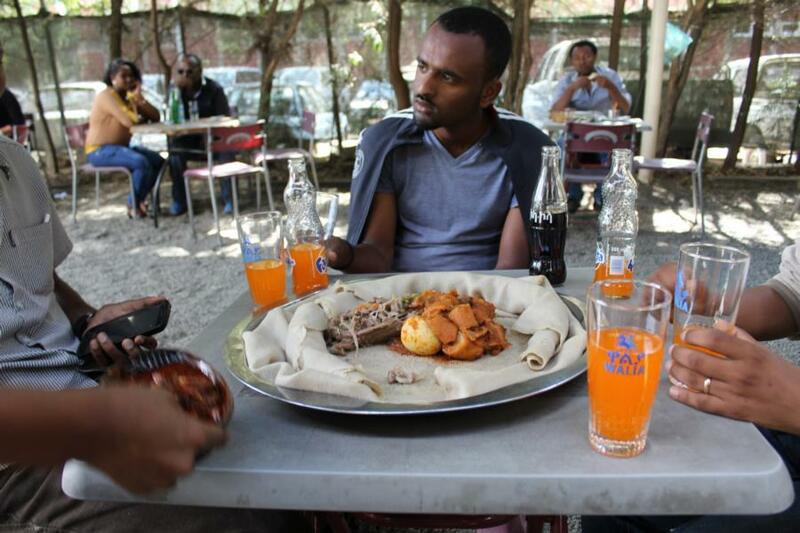 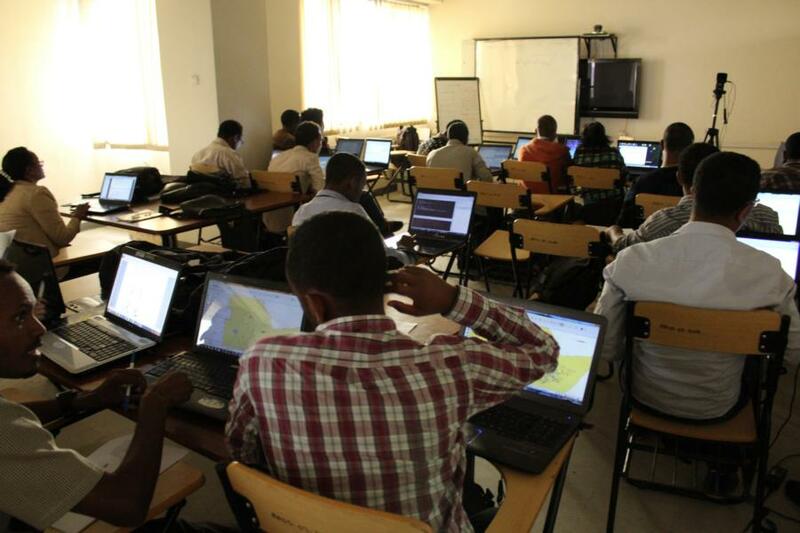 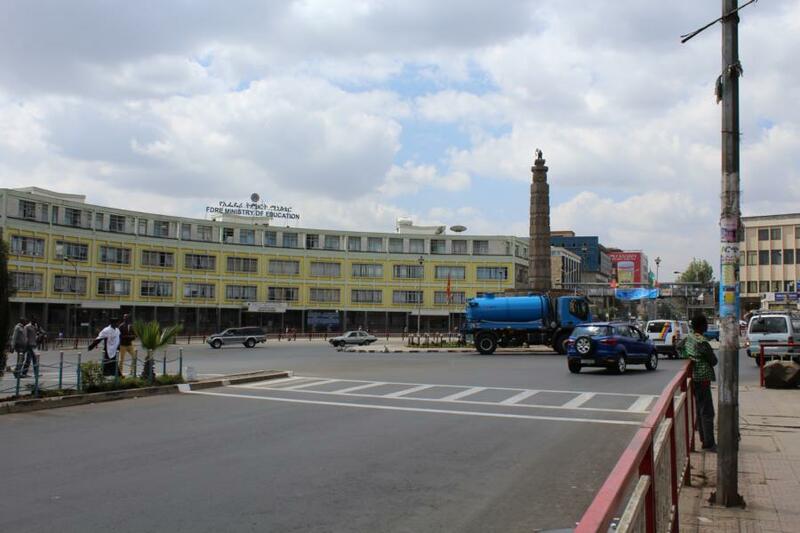 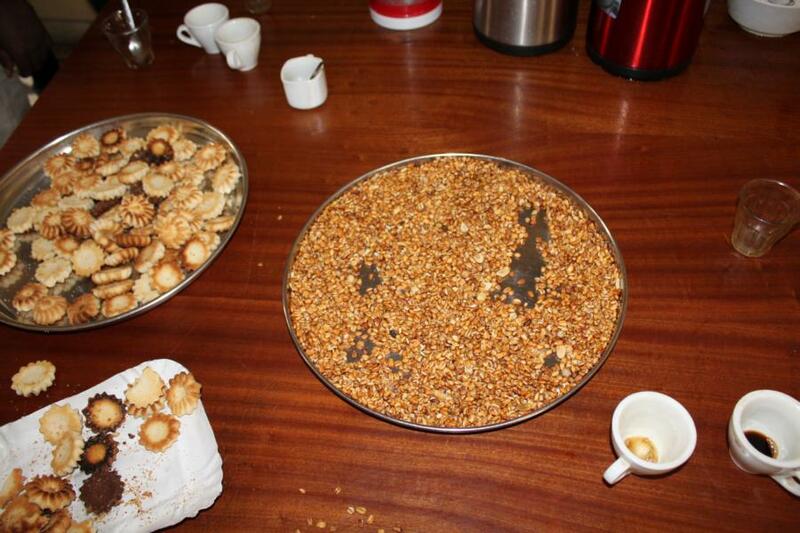 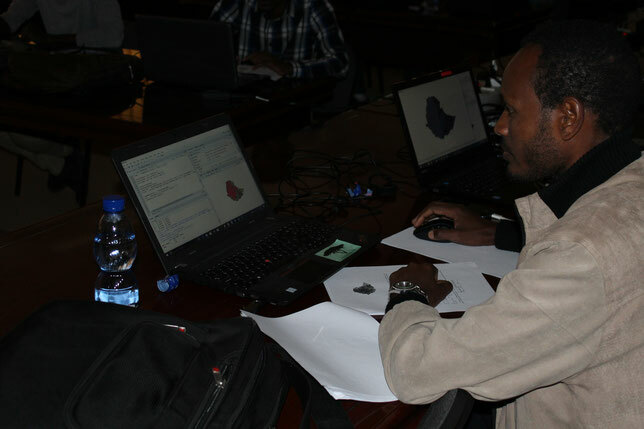 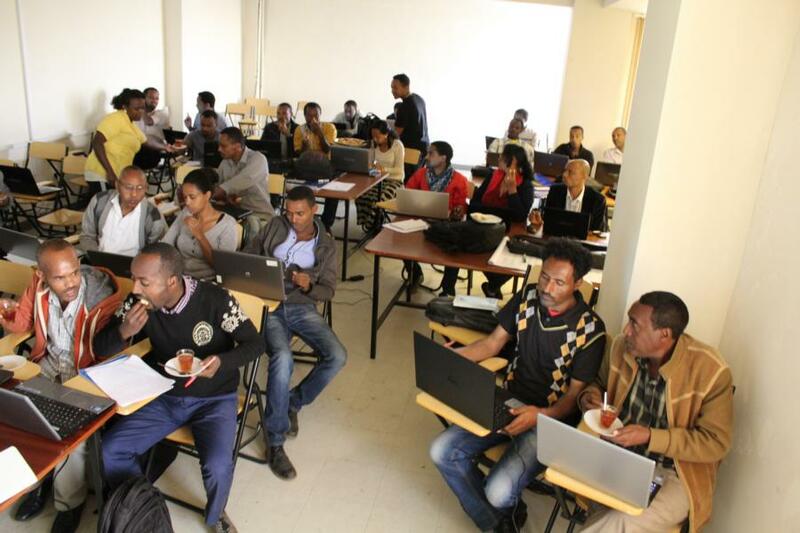 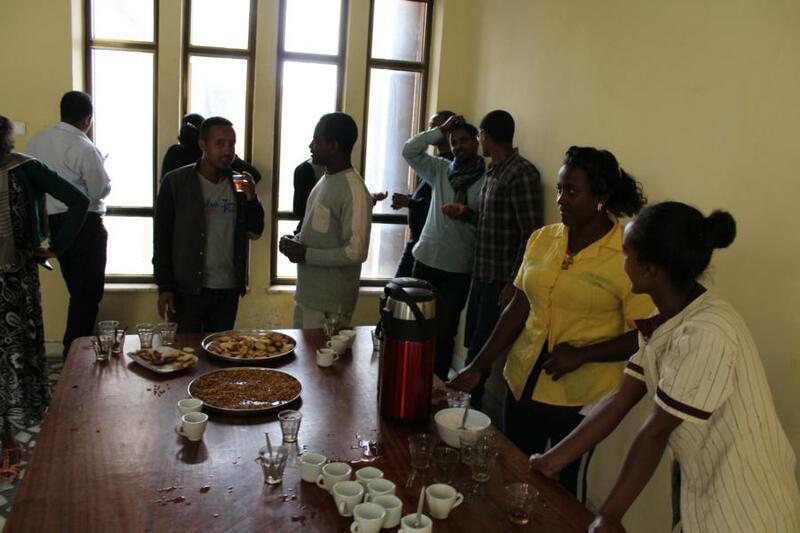 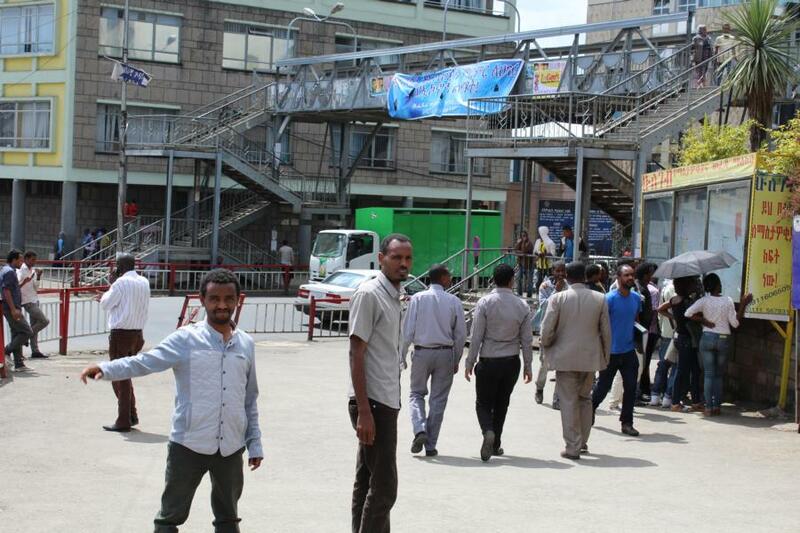 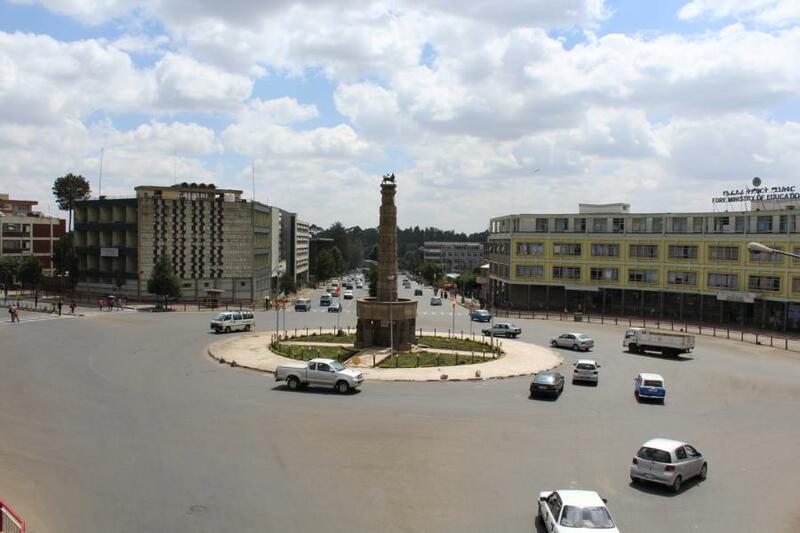 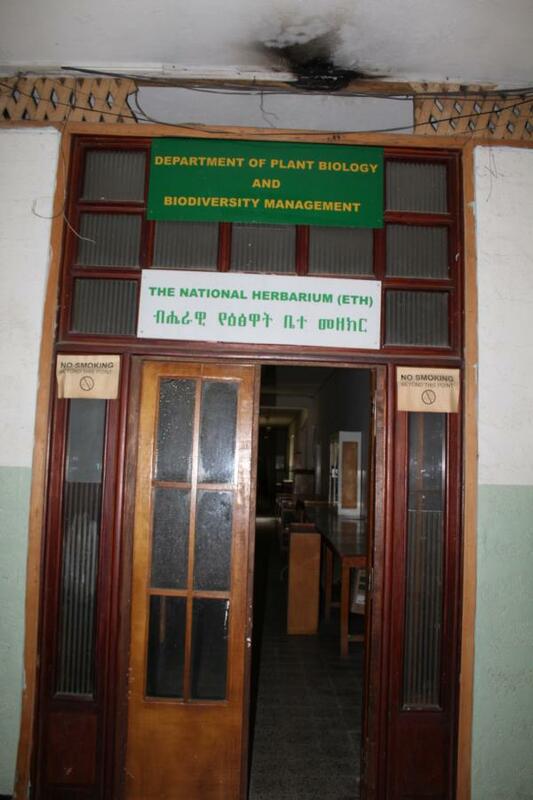 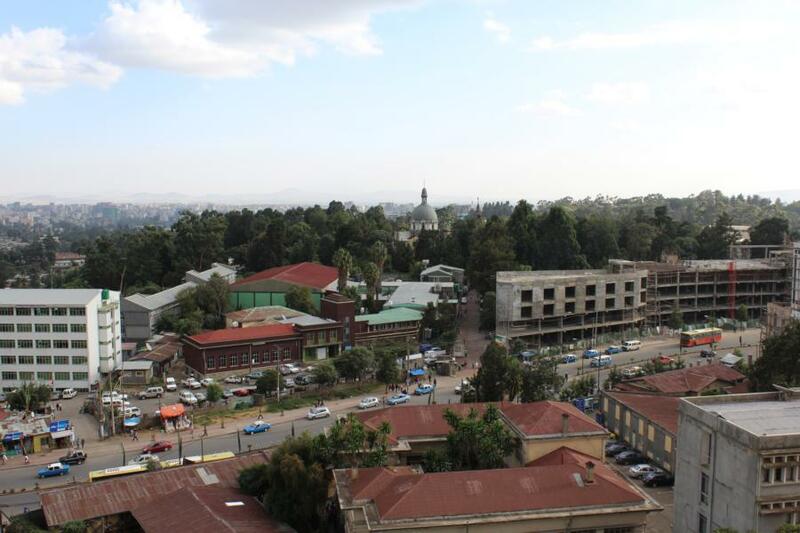 These activities have been organized at the University of Addis Abeba and the University of Haramaya. 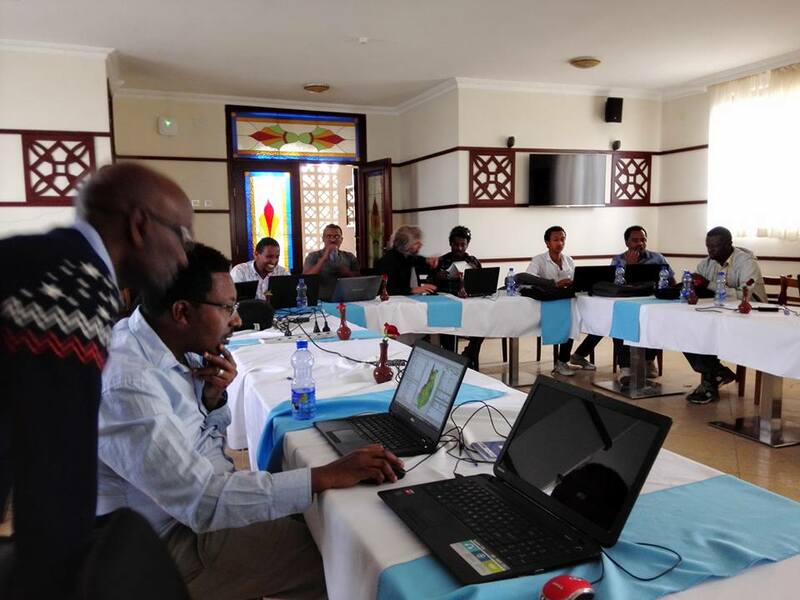 Additionally, some efforts has beind done in collection of vegetation data and its integration in a vegetation-plot database for East Africa. 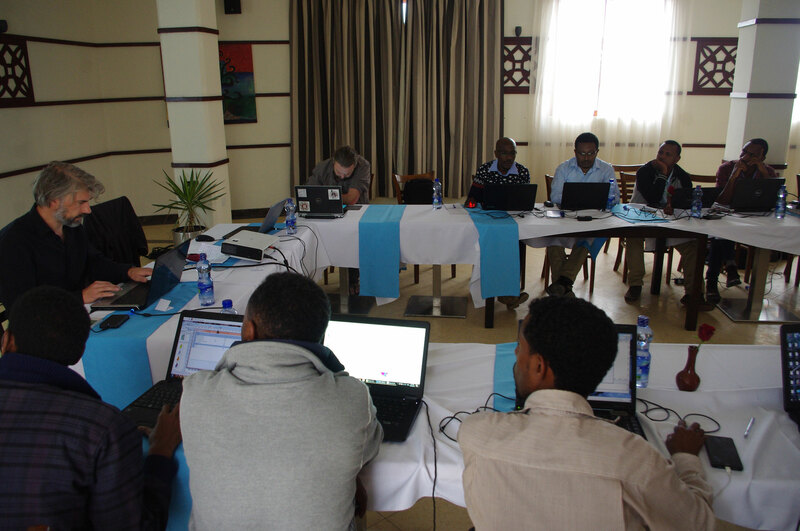 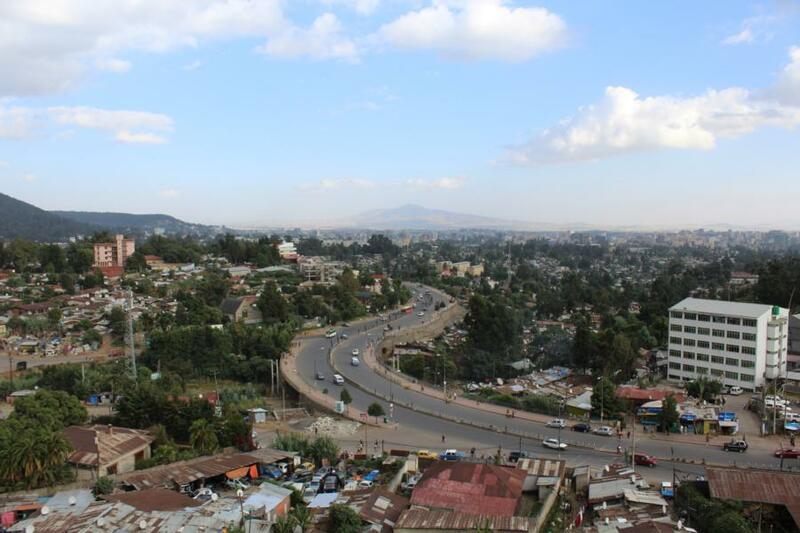 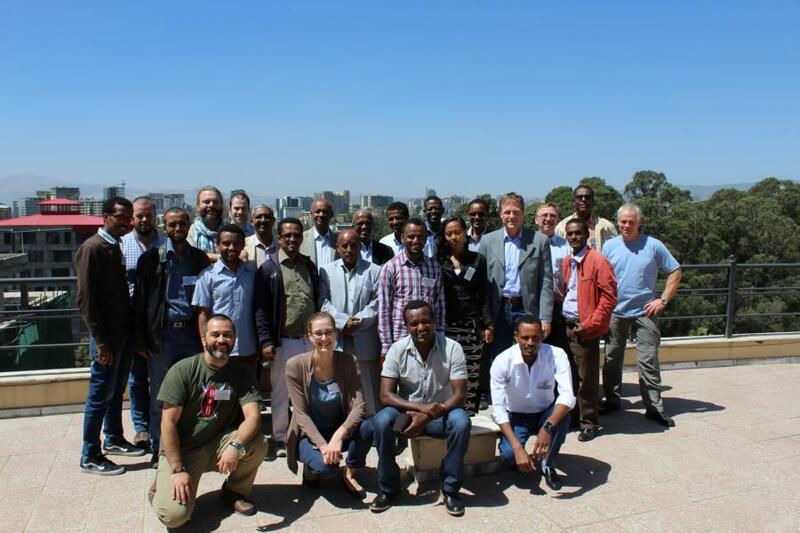 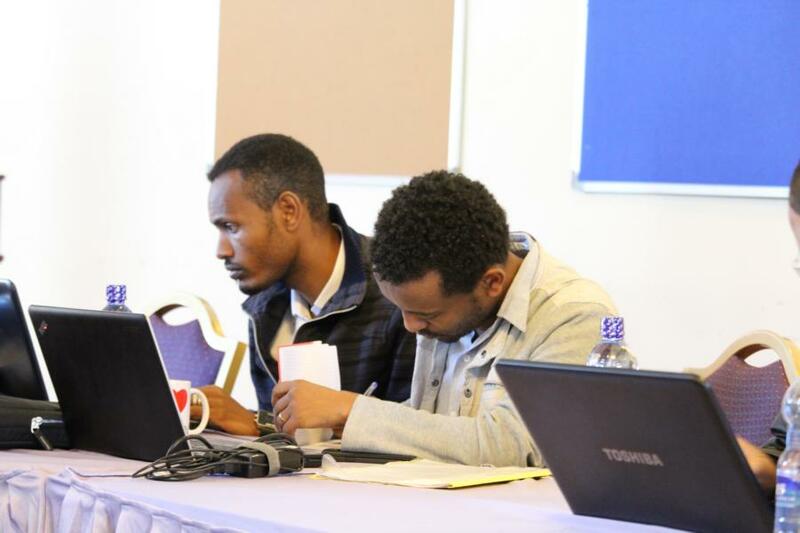 The project ARBONETH has being an optimal platform for building-up a scientific network between Ethiopian and German education institutions and the exchange of capacities in both directions. 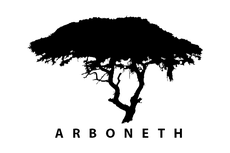 Experiences of the ARBONETH project will surely trascend to current and future collaborative projects between the partner institutions. 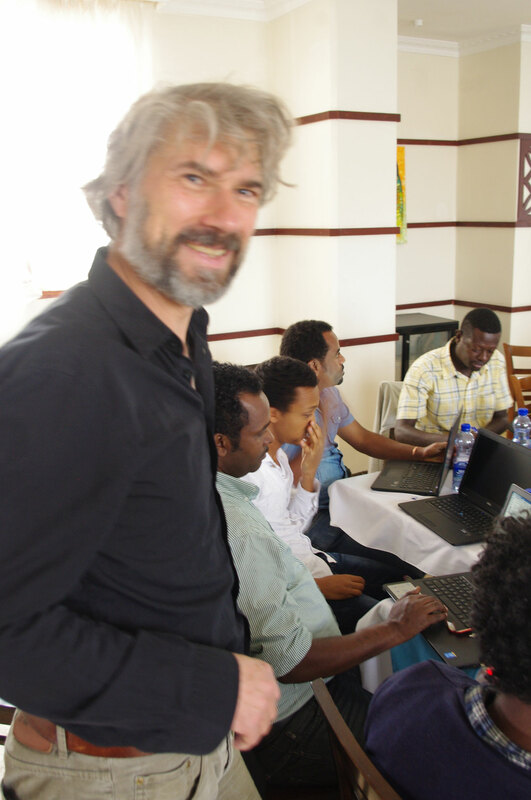 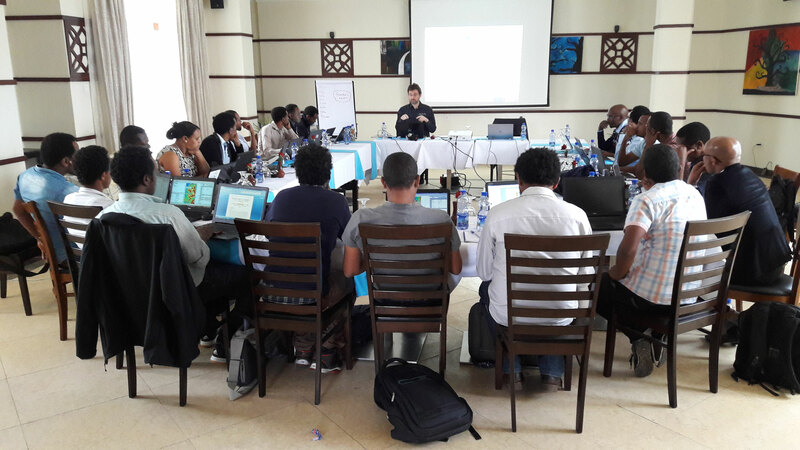 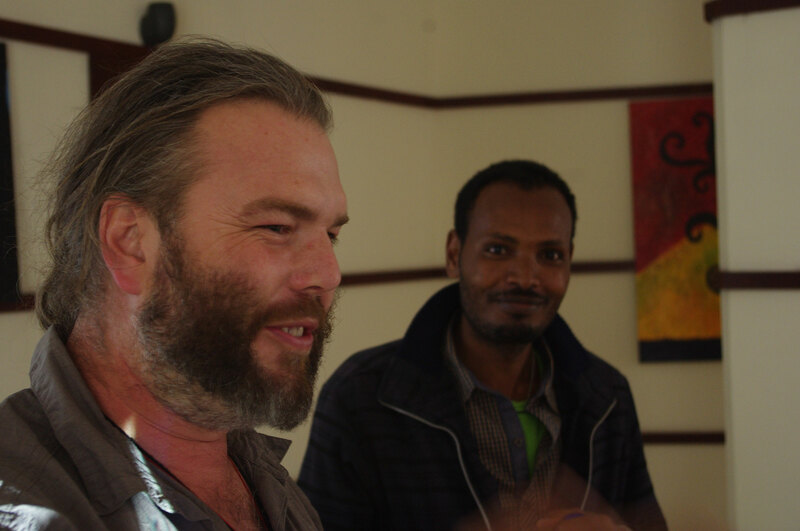 In April 2016, A one-week training workshop on Biodiversity assessment and analysis was led by Dr. Jens Oldeland from the University of Hamburg at the Wondo Genet Forest College with about 30 students being connected to the ARBONETH project. 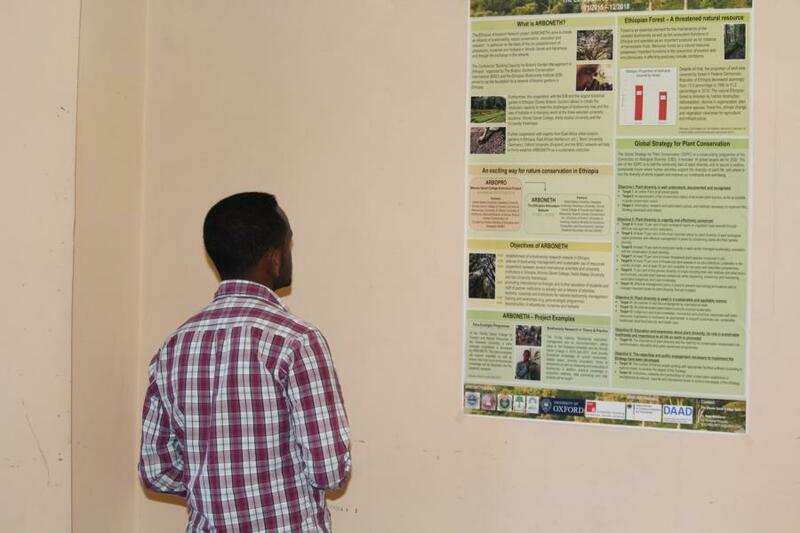 During the first two days, the participants learned how to perform biodiversity assessment in the surrounding of the Wondo Genet Forest College. 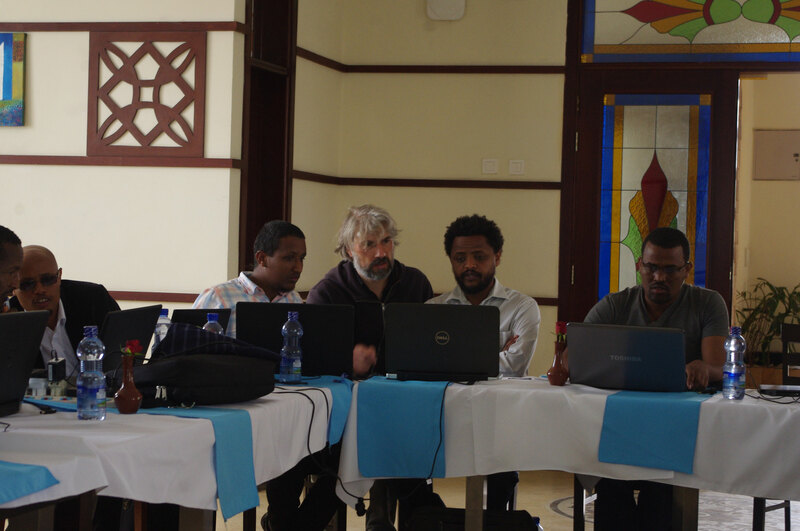 After field work, the data was entered and different views on biodiversity theory were discussed and explained. 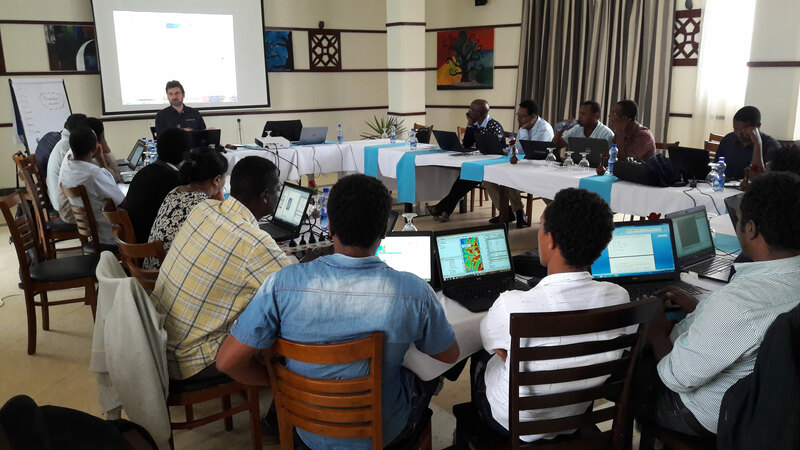 Half of the week was devoted to the proper analysis and visualization of biodiversity data. 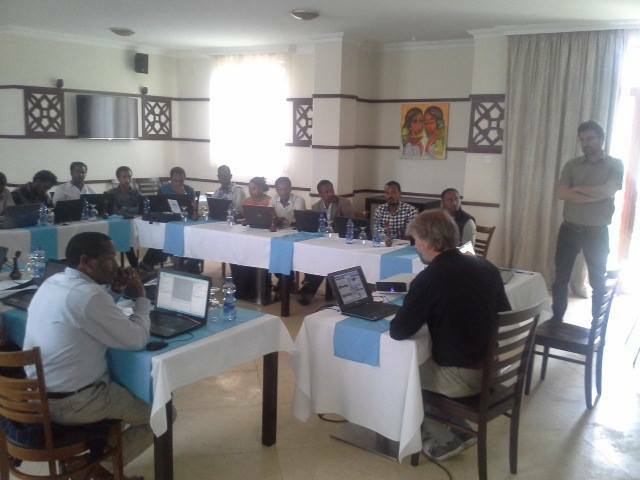 Impressions of the GIS and R training by Miguel Alvarez (Vegetation Ecology, INRES, University of Bonn, Germany) and Peter Borchardt (Biogeography and Landscape Ecology, University of Hamburg, Germany) from november 9th - 13th 2015.